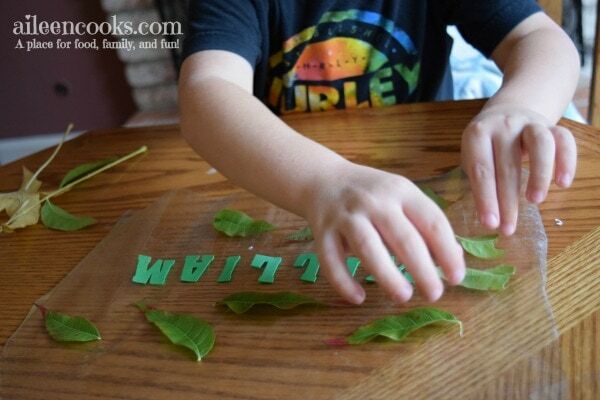 These fall leaf placemats are a great way to incorporate the changing of seasons with a fun preschooler name recognition activity. Start by sending your kid(s) outside to collect leaves. Next, cut out two rectangles of contact paper. Peel the backing of on rectangle and tape it to your table. 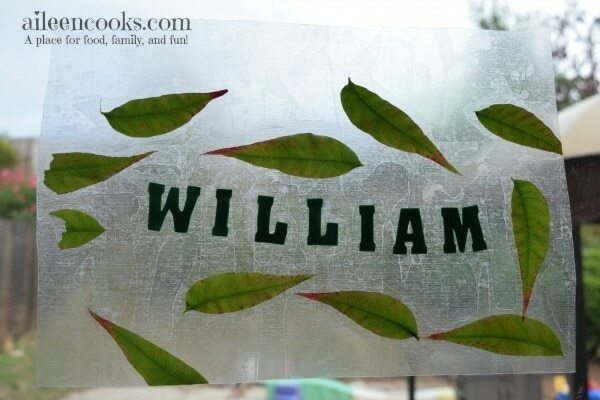 Arrange your child’s name in the center of the contact paper with the foam stickers. This is a great time to discuss each letter and ask your child to practice saying the letters of their name. 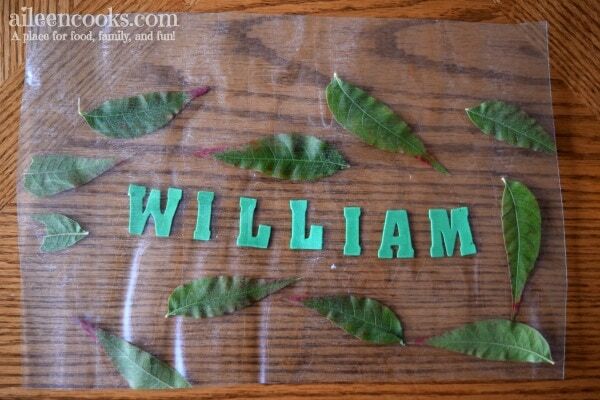 I also set my daughter up to do this activity with us, but she wanted nothing to do with the leaves. She just wanted to peel off all the letter stickers and stick them to her contact paper. So, no pictures for her in this post. Sometimes (all the time), I just have to let go of y controlling tendencies and let them do it the way they want. Full disclosure: This is really hard for me at times. I got frustrated with her at first and then realized it was about the activity, not the end result. 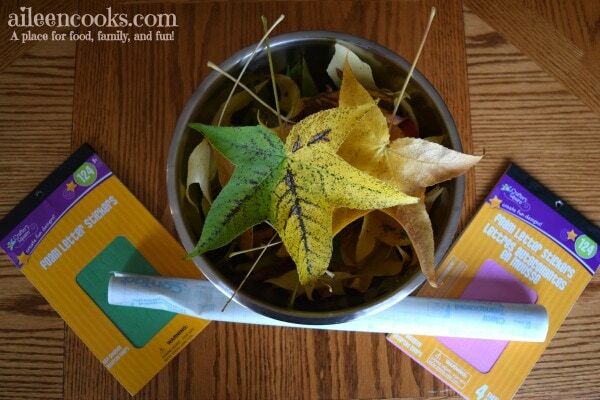 Once their name is arranged, have them decorate the fall leaf placemat with the leaves they collected. Once they are finished, peel the backing off the other piece of parchment and sandwich it on top of the first piece, so the pieces are sticking together. Trim around the edges so they are even. These placemats are perfect for Thanksgiving dinner or can also be hung in a window as a festive sun catcher. My son ended up hanging it on the wall in his room.